The 35th Anniversary of the Ghostbusters is upon us! Let's celebrate with four spooktacular weekly comics featuring different Ghostbuster teams in all-new standalone adventures! Do demons get visitation rights? That's the question facing a harried young mother as she tries to accommodate a stream of otherworldly visitors intent on paying their respects to her half-demon toddler. When the ghosts begin to herald the arrival of the girl's father-rumored to be a class 7 entity-Mommy knows who she has to call: The ANSWER THE CALL GHOSTBUSTERS! Erin, Abby, Patty, and Holtzman find themselves mediating the custody battle from hell... and it's a scorcher! 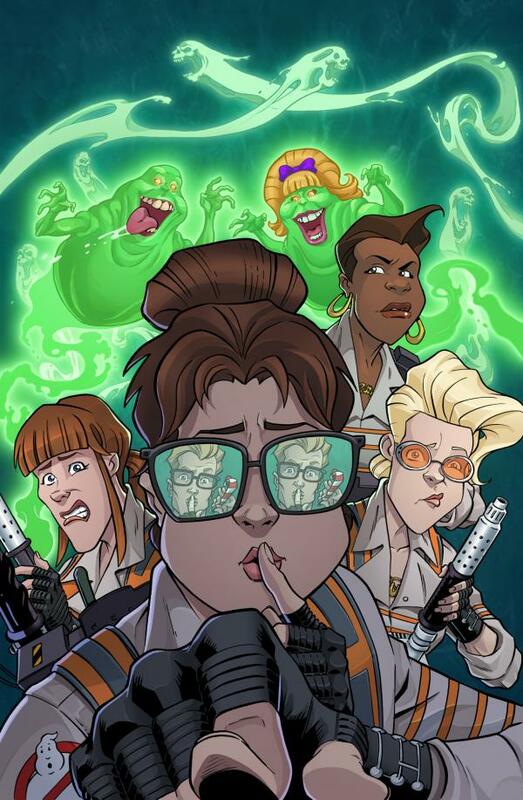 The Answer the Call Ghostbusters in an all-new original adventure by the slimerific creative team of DEVIN GRAYSON (Nightwing) and SL Gallant (G.I. Joe: A Real American Hero)!